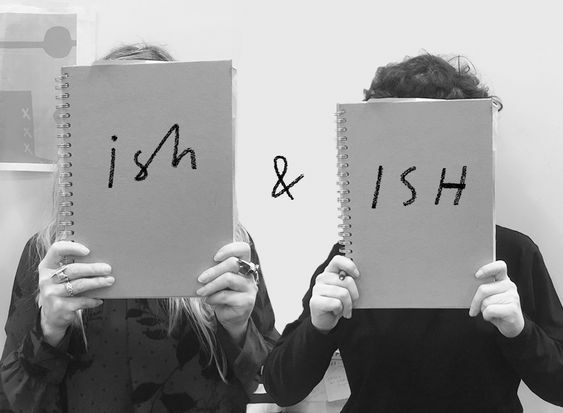 We are ISH & ISH, a two-women art collective. Our story started in 2017 when we met each other at our workplace in Yorkshire. Bibi Klamer, a textile designer from Copenhagen and Mercedes Leon, an illustrator from Spain. At work Mercedes' nick name was "Spanish" and Bibi obviously became "Danish". SpanISH and DanISH decided to start a business creating beautiful things for the world and ISH & ish was created from a mutual passion for all things colourful and illustrative. We hope you will join us on this adventure. You can also follow on Instagram @ishandish and stay tuned!